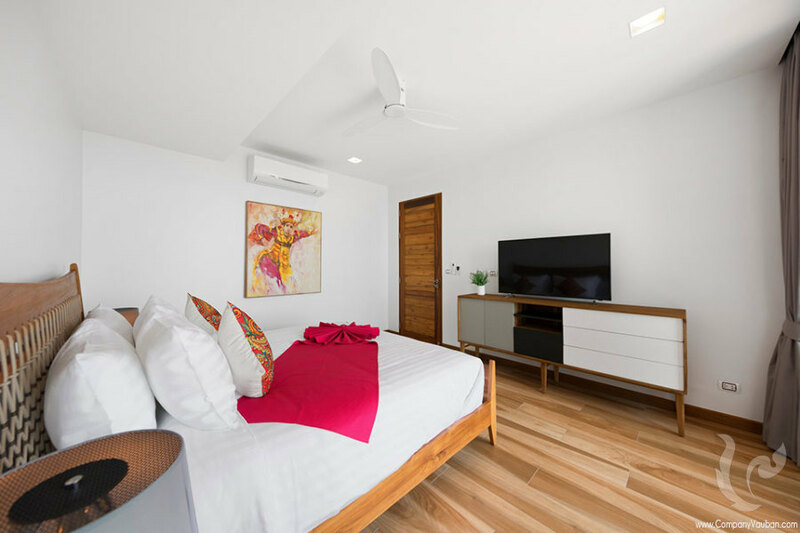 Each villa Phase 1 are 3 bedroom villas that are designed in a tropical modern style, using only the latest construction materials. 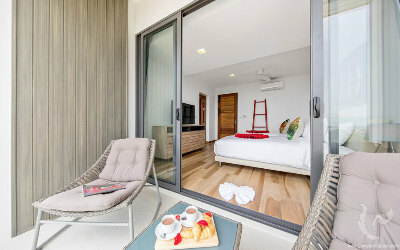 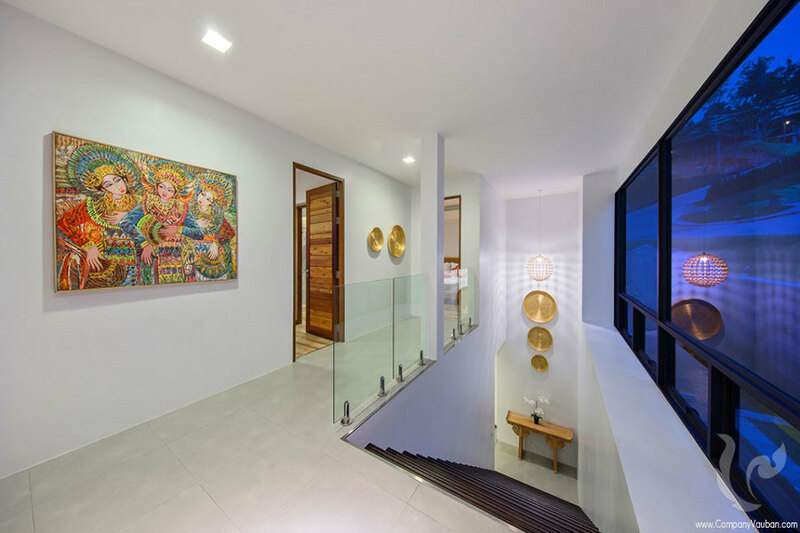 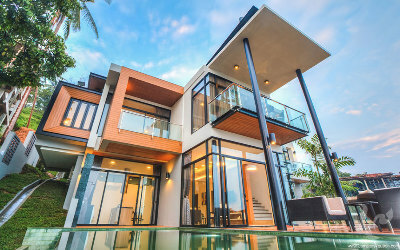 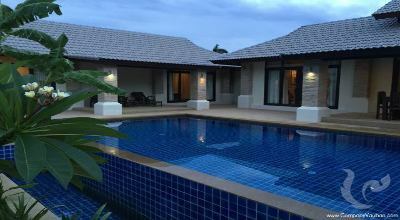 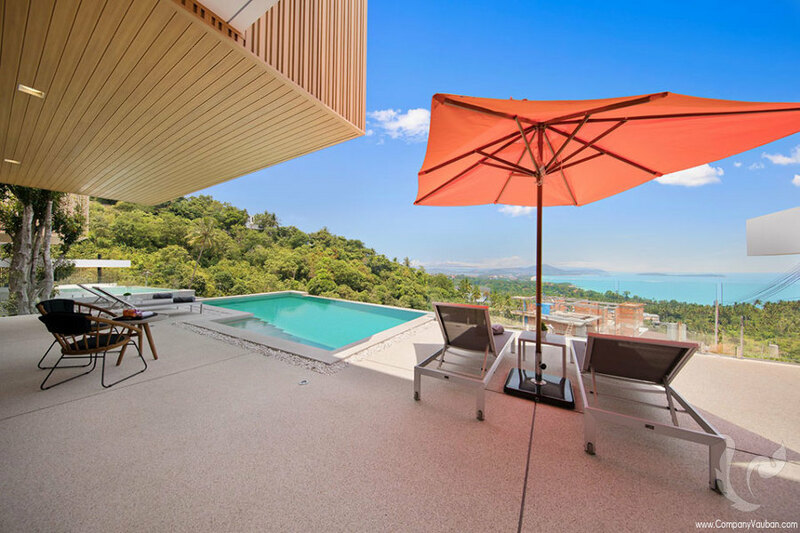 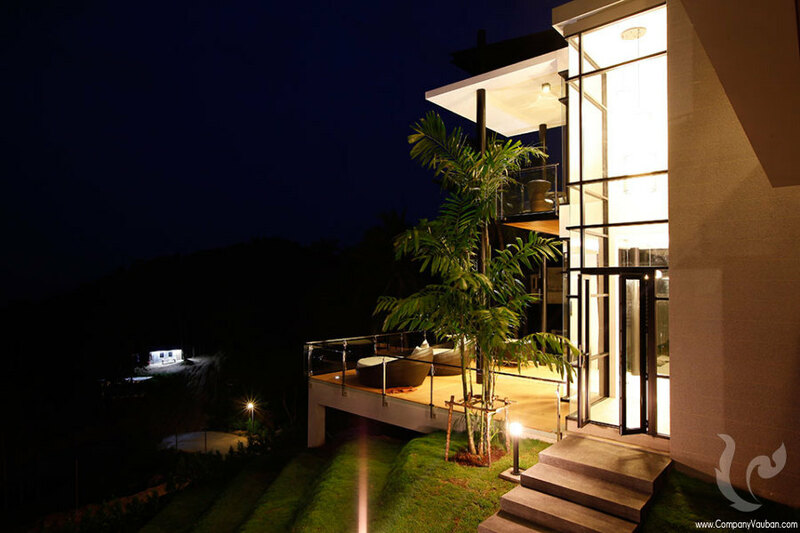 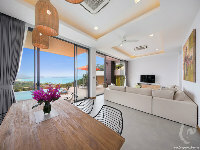 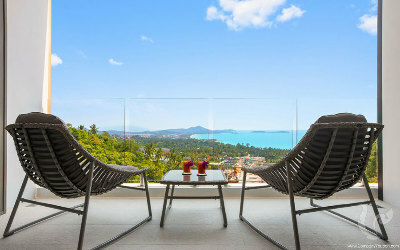 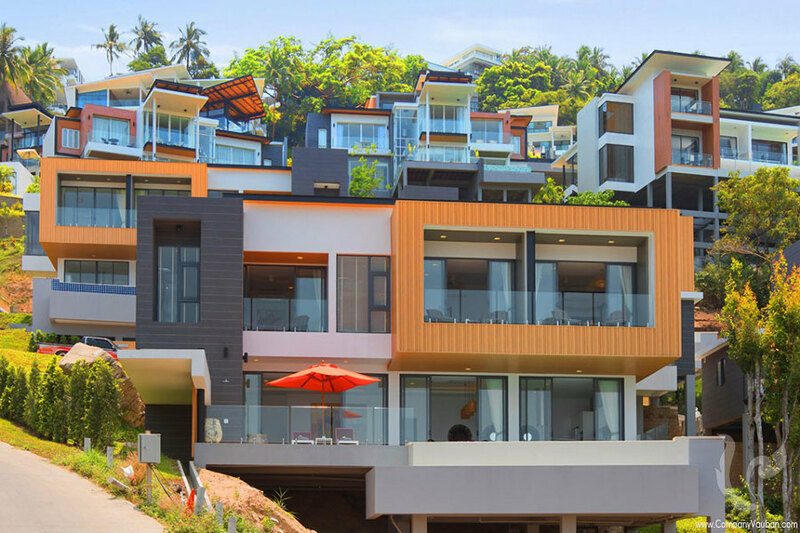 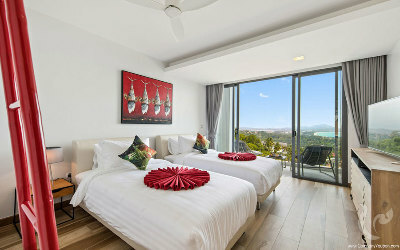 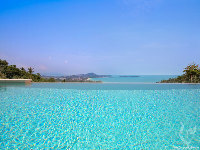 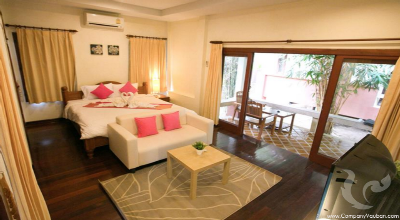 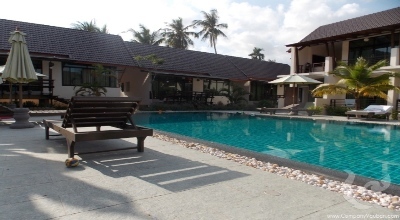 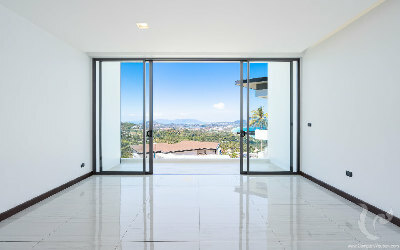 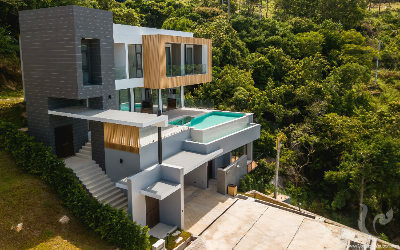 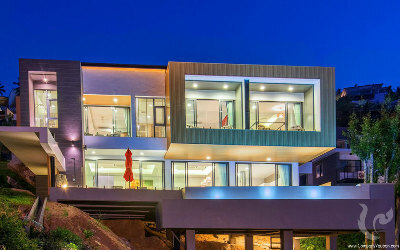 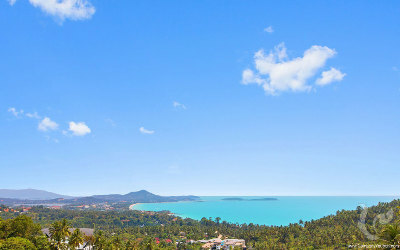 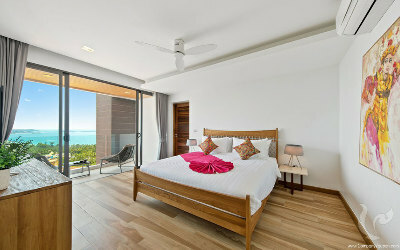 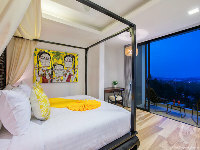 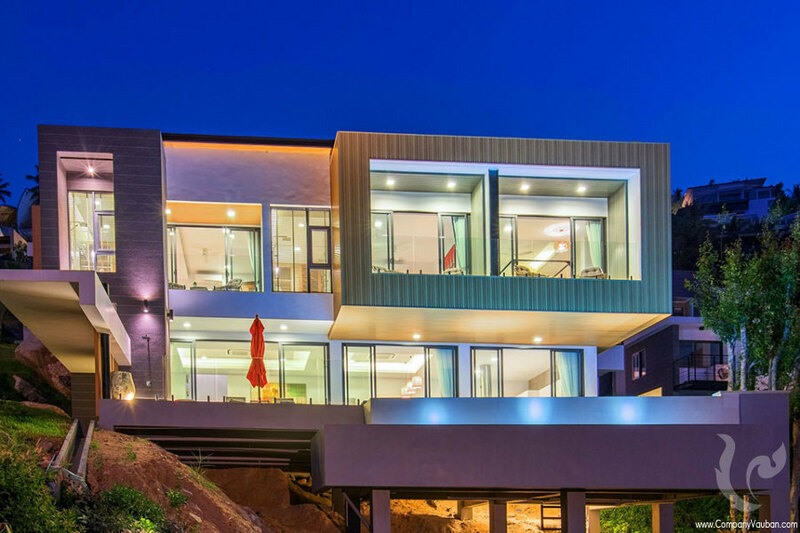 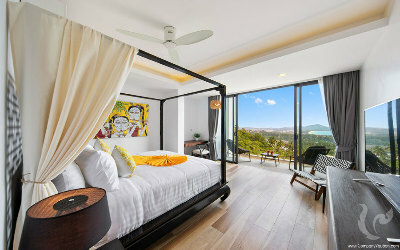 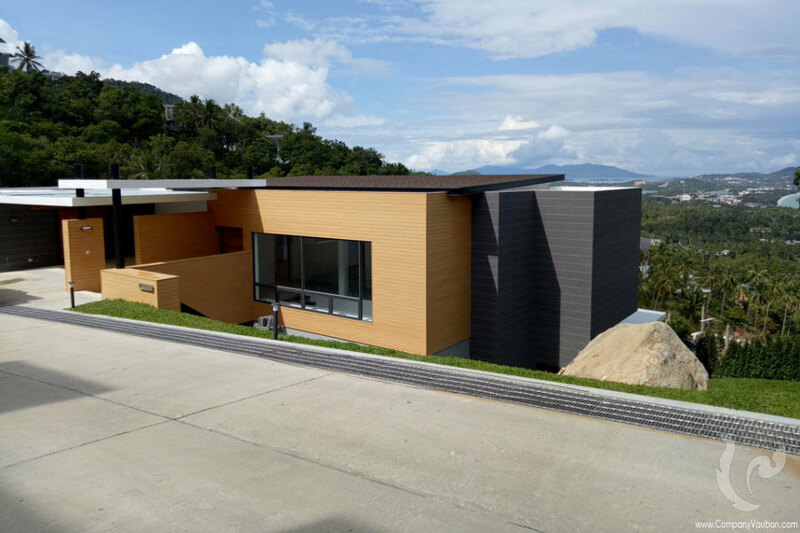 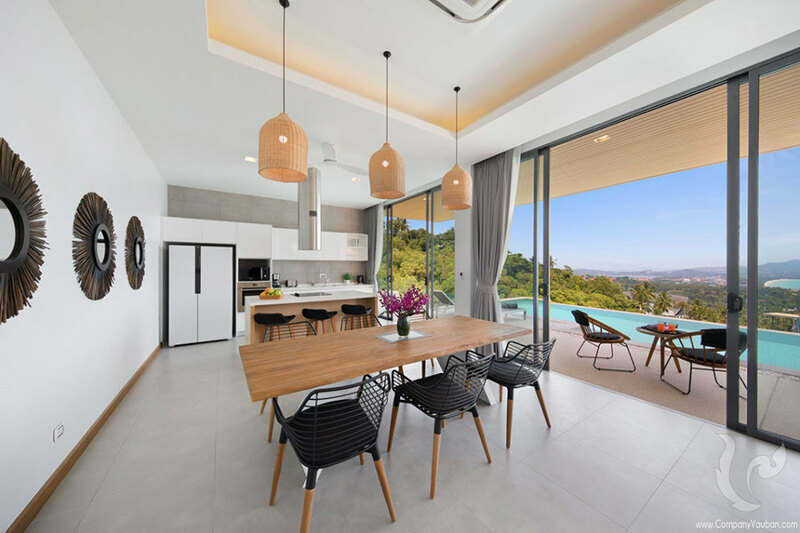 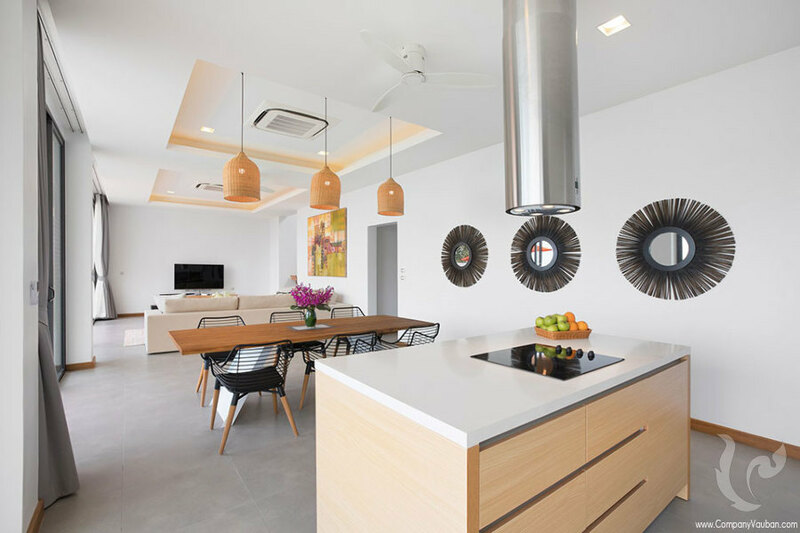 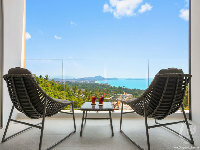 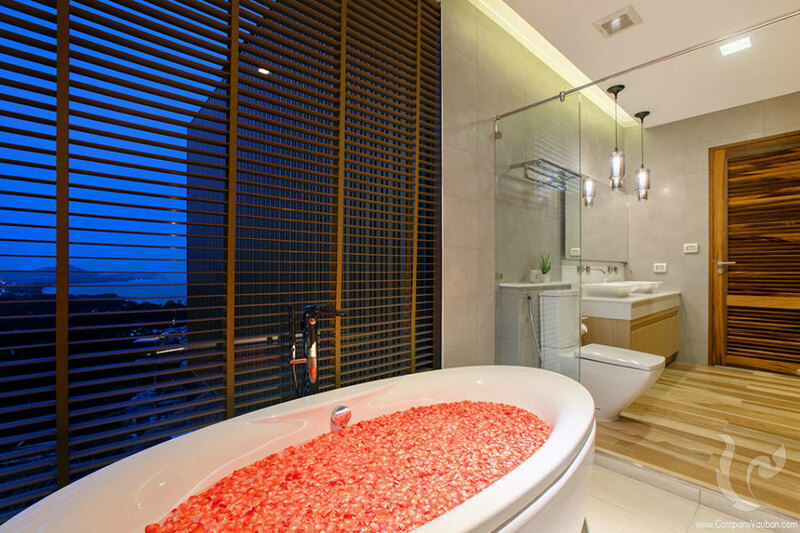 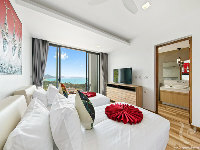 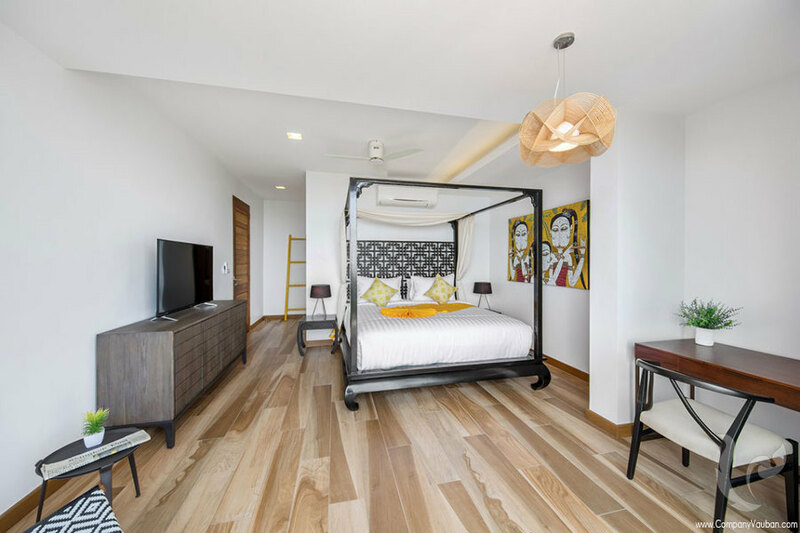 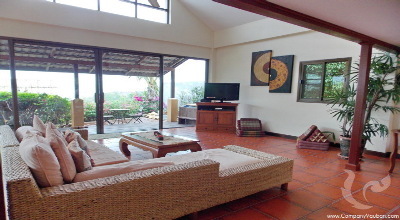 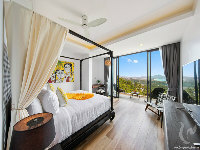 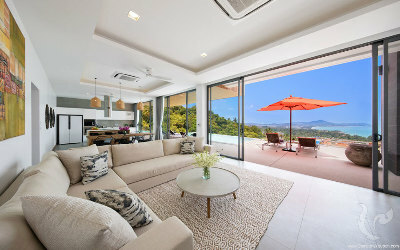 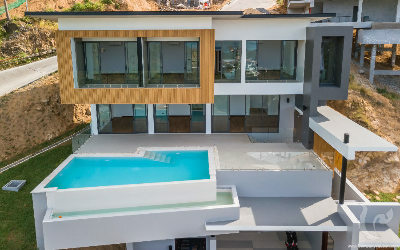 The villas are all on 2 Storeys, with the 3 bedrooms, with ensuite bathrooms, located on the first floor, each with balconies not to miss Samui’s amazing stunning views. 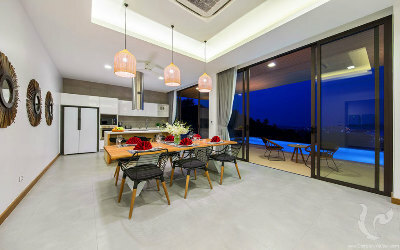 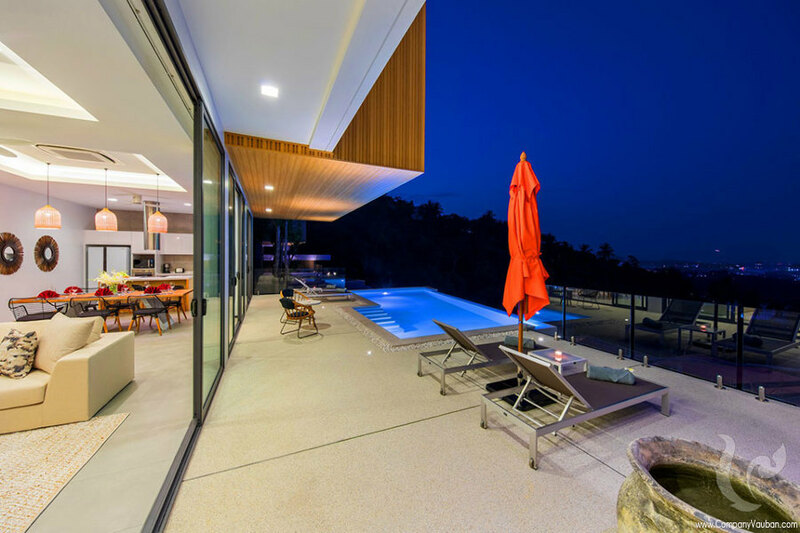 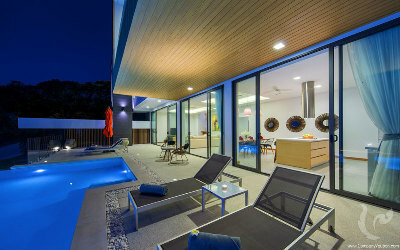 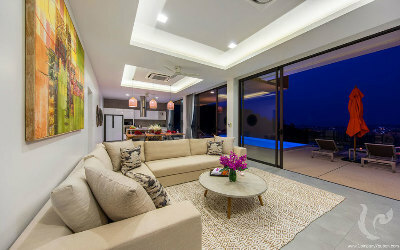 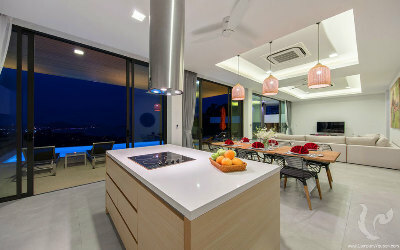 The lower floor consists of the main living area, with fully fitted kitchen and a beautiful large terrace surrounding the stunning infinity edge pool. 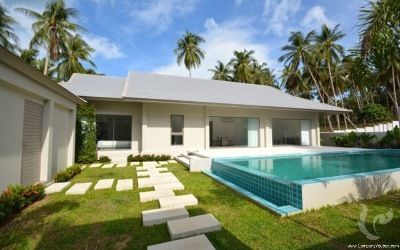 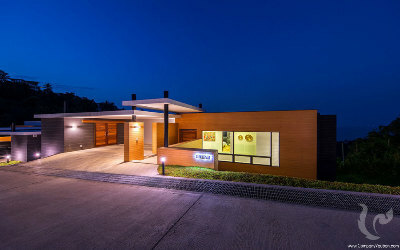 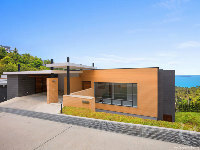 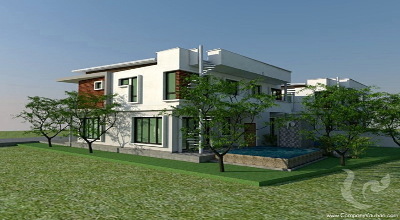 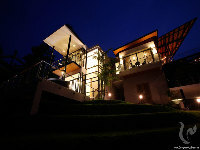 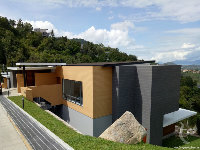 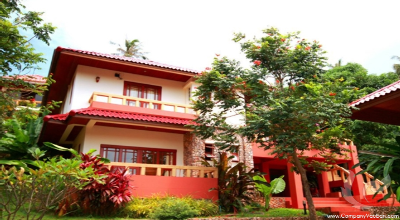 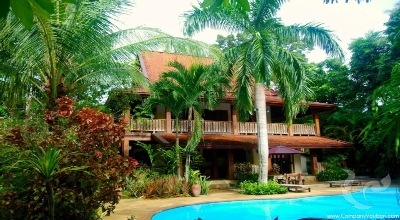 The villas are about 180sq.m inside and 160sq.m outside area on plots ranging from 580sq.m to 680sq.m. 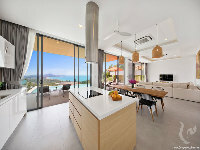 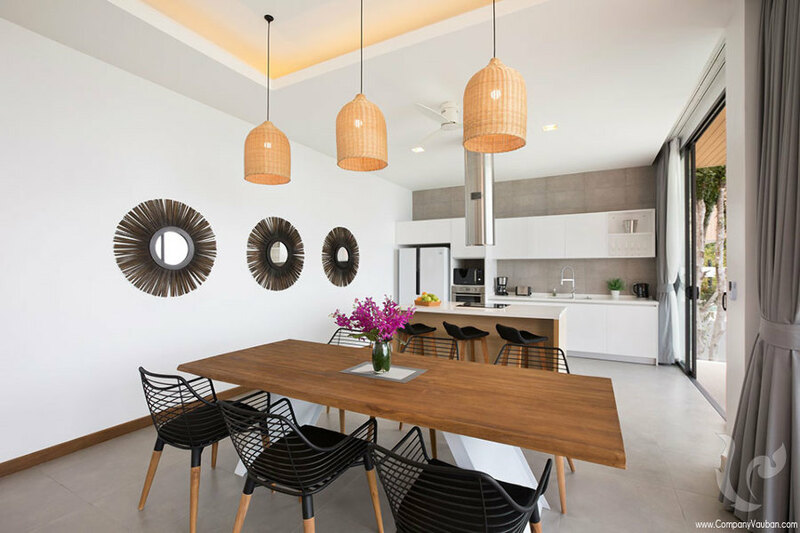 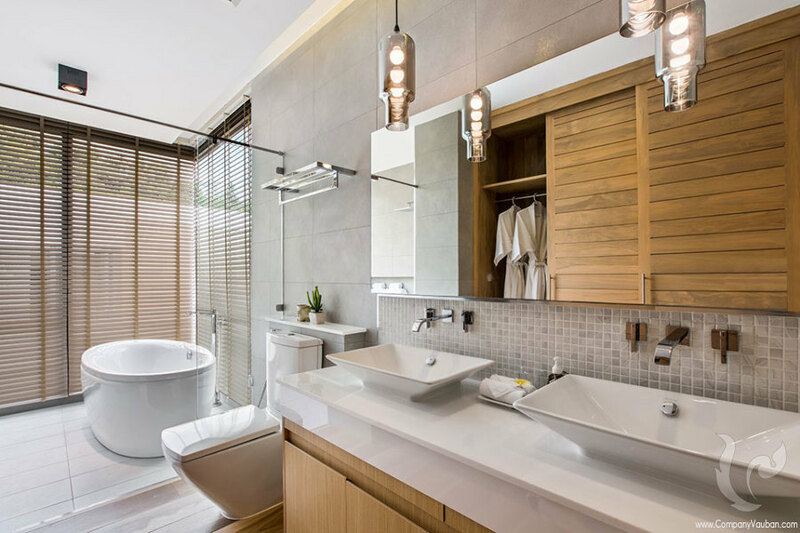 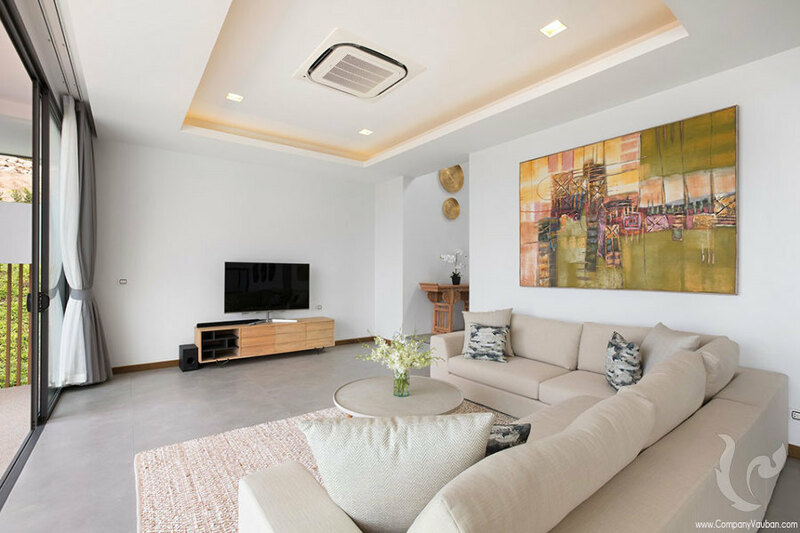 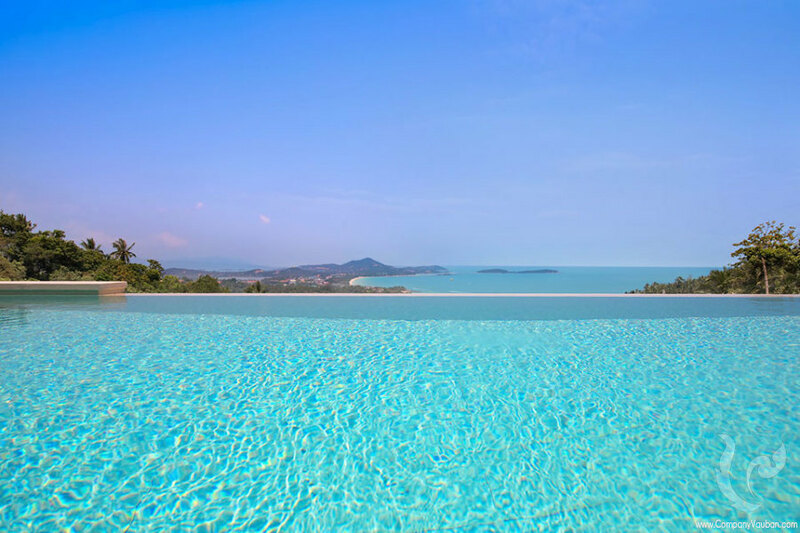 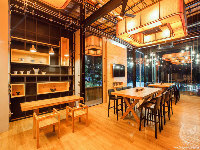 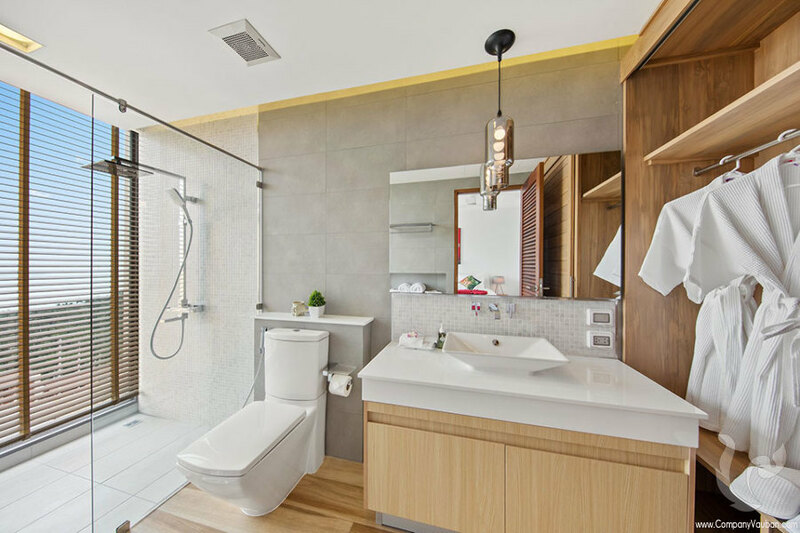 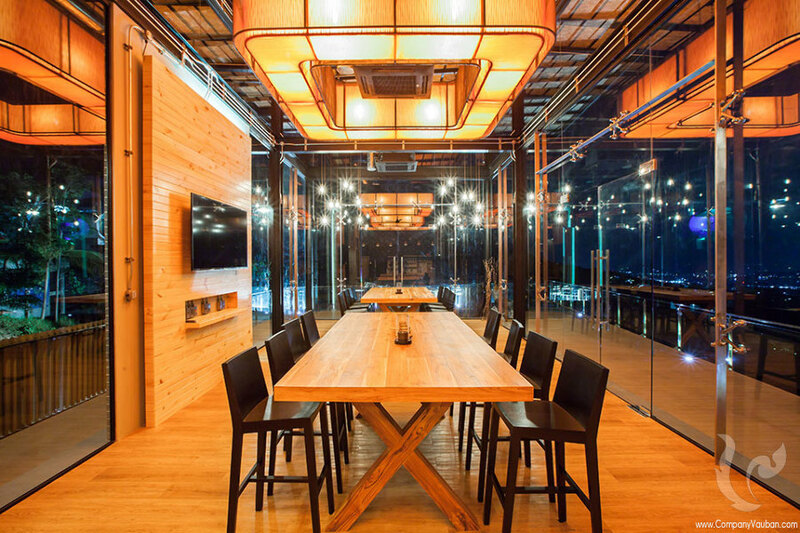 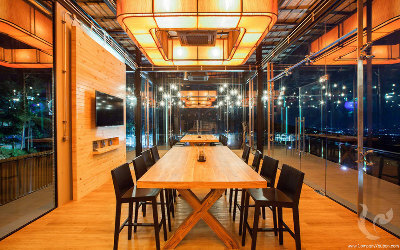 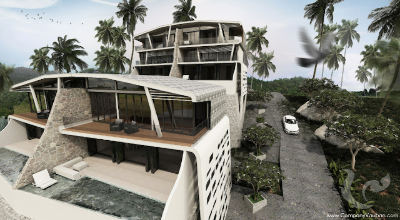 Phase 2 is on a lower level than Phase 1, with easier access but still with stunning views over the famous Chaweng Bay and over the crystal blue waters to Koh Phangan. 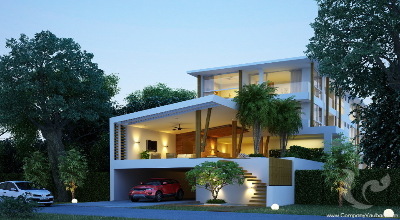 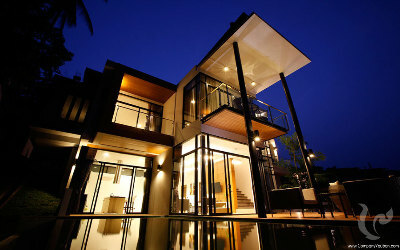 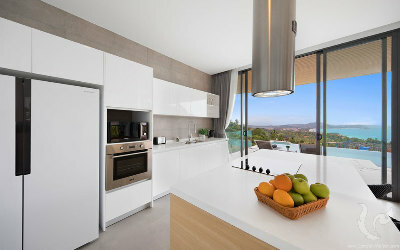 Due to the market demand, villas will slightly bigger than in Phase One with an overall layout revised. 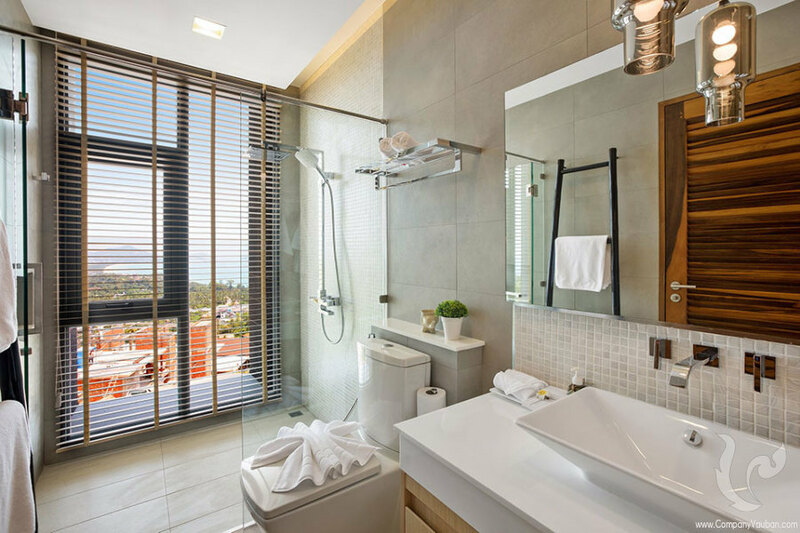 Each villa is around 380 sq.m of built up space, with all 3 ensuite bedrooms located on the first floor, offering great seaview from every room in the villa. With the feedback and experience from Phase 1, villas on Phase 2 are built up to the best quality. 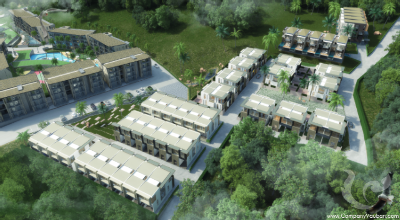 After the success of Phase 1 and 2, Verano team has started the construction of Phase 3 in September 2017. 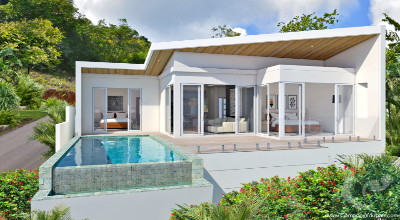 In total 13 villas will be built, with a mix a 3 Bedroom villas and massive 600sq.m 4 Bedroom villas; Every villa is now under construction with expected completion for the first villas to be November 2018. 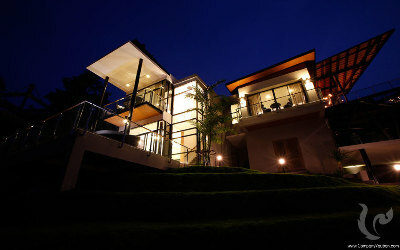 - UNDERGROUND 3 PHASE ELECTRICITY.